For those who have never lived through a significant appliance leak, overflowing tub, toilet or sink, getting things wet doesn’t seem like a huge deal. If you’re experiencing water damage right now, we know that it’s a very big deal. And we’re here to help. When you call us for help, we will answer the phone in a prompt, professional manner. We know that you are going to be upset and uncertain as to what needs to be done, but we know what to do. We’ve done it for hundreds of other people who found themselves in trouble and not knowing how to handle the situation. So call us and realize that the worst part of the process is now behind you. You aren’t alone in this situation any longer. We’re on the job for you. We will ask a few pertinent questions as to the nature of your problem and if you need any specialized equipment or services– then, as soon as we know what the requirements of the job are, we’ll get a crew on the road immediately. We don’t use subcontractors and we don’t bring our friends along to help. We are professionals. Everyone who sets foot on your project is going to be fully vetted, properly trained, and with plenty of experience in handling these sorts of water damage situations. We perform restorations in Port St. Lucie, Palm City, Vero Beach, Stuart, Fort Pierce, and surrounding areas. The very first thing our crew will do when they arrive is to make sure that you and your family are safe. Water can create electrocution hazards or put out gas pilot lights. Water can weaken the structural integrity of the building so that there is a risk of collapse. Safeguarding human life is our first concern. Once that has been taken care of, it is often necessary to prevent any additional damage from occurring. We can assist in locating the source of the water intrusion if you haven’t already pinpointed it. Then the proper professional service provides can correct that situation. The faster we can get your valued possessions into a climate-controlled facility, the better the chance we have of saving them from eventual ruin. While our crew of restoration specialists works on your valuables, the other half of the equation for proper water damage restoration is also proceeding. Our staff will remove and dry the water from your property, wiping down any mold-producing areas, and removing any damaged materials from your home. Once we are complete, you will be able to hire a construction company to rebuild your home to its original condition. Are you worried about mold in your house? Act quickly and get help. Many problems result from getting things wet and allowing them to dry slowly. Metal items can rust. Wood can rot, warp, or develop large cracks once it dries. Dark, damp environments can foster the growth of life-threatening mold that may render your house temporarily uninhabitable, or at least inflict continuing respiratory diseases and distress upon you and your family. It is important to understand the many dire consequences of water damage to recognize the need for fast action. Our technicians are trained and careful. We’ll take of your property as if it were our own. Our entire staff is courteous and committed to providing excellent service. Our team will work safely and we’ll keep your home as safe as possible for you and your family. We’ll provide a fair detailed estimate of work and if anything changes we’ll get approval before moving forward. We’re a locally owned business and we live and work in the Treasure Coast area. 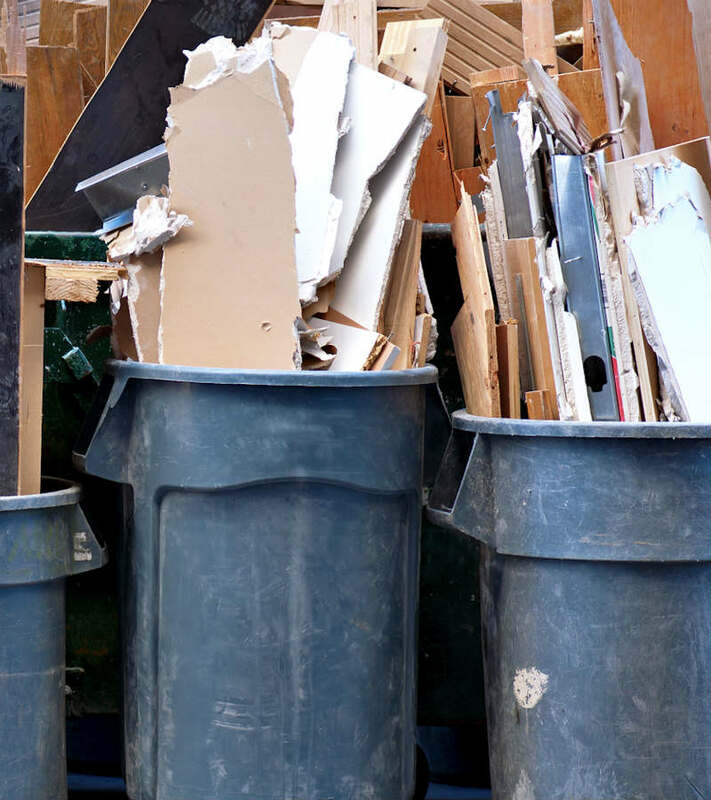 We only work with licensed removal companies. We’ll do the job right. For emergency overflow and backup situation, our technicians are available for 24-hour response. We can inspect the property and complete the needed mold remediation work. We can also bring in mold assessors to test if needed. 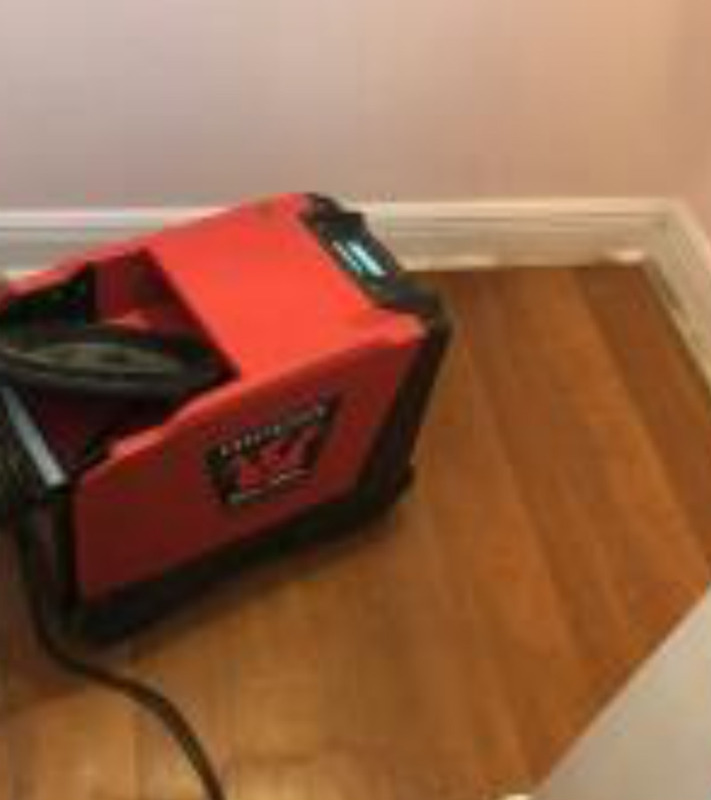 Our company understands that offering proper water damage restoration services to the Treasure Coast area is a very time-sensitive business. The faster you can get everything away from the water and darkness; the quicker and less painful the process of restoration will be. Of course, some items, such as most home appliances and electronic devices, are permanently damaged as soon as they are immersed. No amount of careful handling and patient, professional restoration is going to make them work ever again. These are things that will have to be replaced, no matter what. Salvaging cherished items such as your great-grandmother’s New England sleigh bed is another story. If we can get to the site right away and get your items moved to a dry location, there is at least a chance that we can save them for you. Any delay in the process will shorten the likelihood, however, so it is important for someone who has suffered an overflow, backup or flood event to call for help very quickly. Getting the right water restoration contractor onto the site as soon as possible is simply the most critical element of the process. With our company, “right now” does not mean that we’ll be there in the morning. Right now means the same to us as it does to you– that our services are required instantly. That is why we have real people answering the phone 24 hours a day. It’s why we have emergency response teams on call at all times of the day or night. It’s why we keep vehicles with all of the necessary water damage mitigation equipment already packed on board and ready to go. Insurance companies know that we are the ones who can get the job done because we have been removing water damage and mold damage successfully for many years. If you ever need us, pick up the phone and give us a call. Help is just a few minutes away. 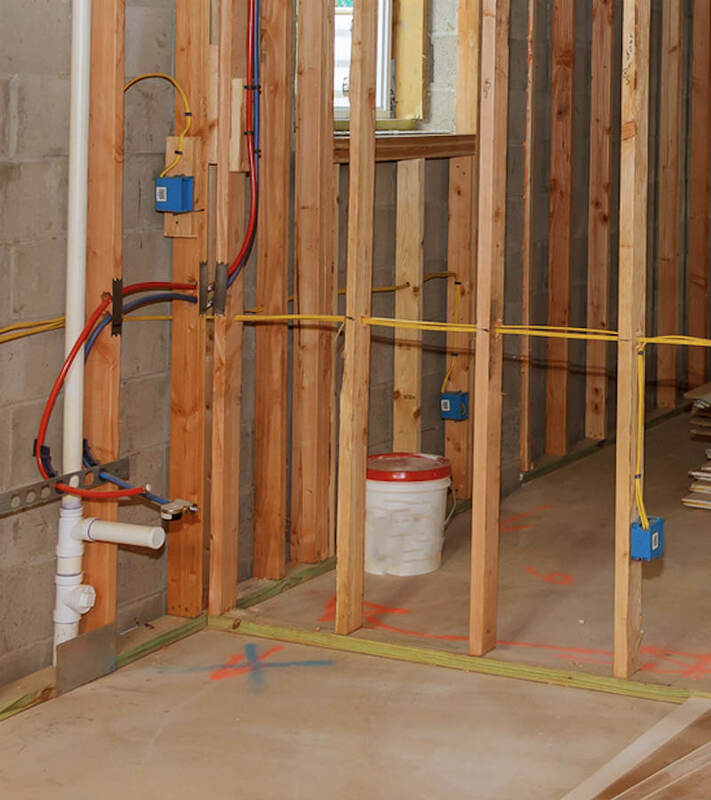 A leaking pipe, toilet, refrigerator, water heater or burst pipe is always a surprise. It is inconvenient and unfortunately, it can take a while to resolve completely. Use these tips to take some of the hassles out filing your water damage claim and to expedite the process as much as possible. Keep a copy of your insurance policy in a safe place so that you can access it even if there is a severe water event in your home. Understand your insurance policy and what your deductible will be for the claim. Take photos of your home before any damage has occurred. Keep an accurate inventory of the house as well. You’ll be glad that you have this documentation when it comes time to file the claim. Take photos of the affected area with the damage. If you have any repairs done to stop the water, keep all receipts. Contact the insurance company or your agent right away to have them come out to survey the damage and file the claim. Be patient but proactive in dealing with your insurance company. We will provide accurate estimates and any other documentation necessary to help the process move along. The #1 priority is to remove wet items and materials and to get the property dry as quickly as possible. How long should I wait to see if mold grows? You should not wait to call a professional drying company. The faster we get the drying equipment running, the better. Mold can grow in as little as 24-48 hours in the right conditions. Can we open the windows and turn on a few fans? Good ventilation and air movement won’t hurt but it is not enough to dry out the wood and other materials in your home or office to the level required. Our equipment provided fast targeted drying. Can I use my dehumidifier? We use large and powerful dehumidifiers. Your small residential use dehumidifier is not strong enough and will not create the proper drying conditions to get the job done. What will a water damage restoration contractor do that I can't do? Extract the water quickly and safely. 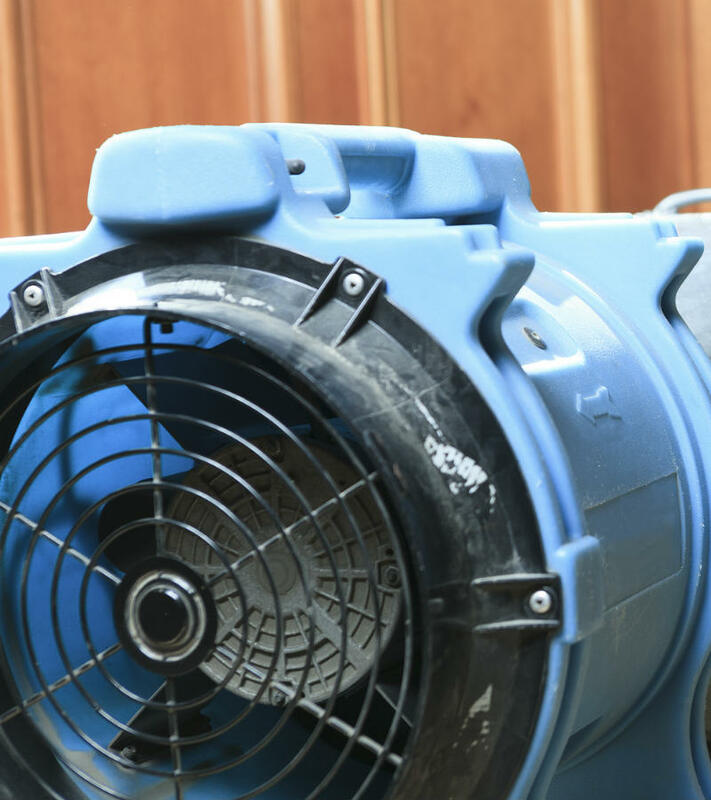 Use air movers and dehumidifiers to dry out remaining moisture. Monitor drying with moisture meters.